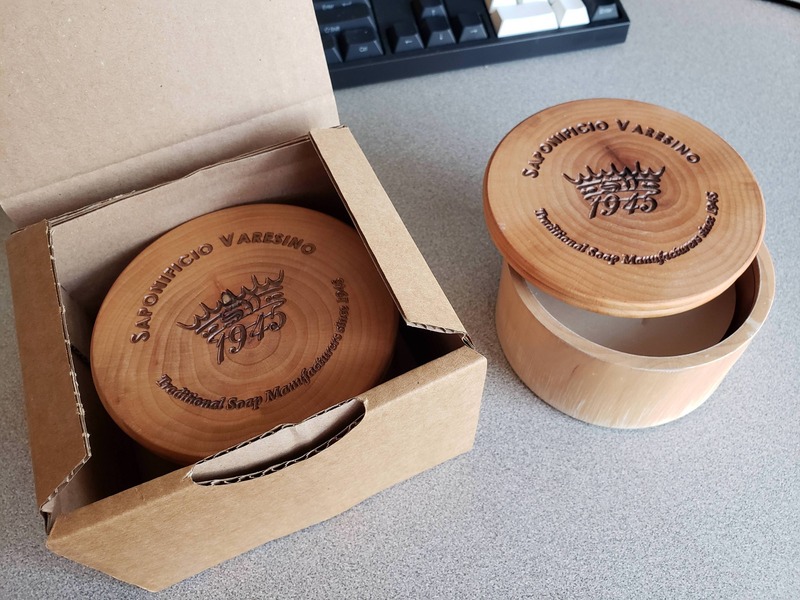 Selling 2 Saponificio Varesino Alder Wood Shave Bowls. One is new/unused, the other is used. This is the first version of these bowls with the engraved logo on the lid (the current version has a fire-branded logo). Both include the original cardboard box. Soap not included. Retail price in the US is about ~$35 USD before shipping. Price drop to $25 shipped (CONUS) for the remaining bowl.